At Matomo (Piwik) we are creating the leading open analytics platform that gives every user full control over their data. Today we are excited to announce the official launch of the Matomo Developer Guides at developer.matomo.org. The Developer Guides complement existing User Guides and more than 250 FAQs. 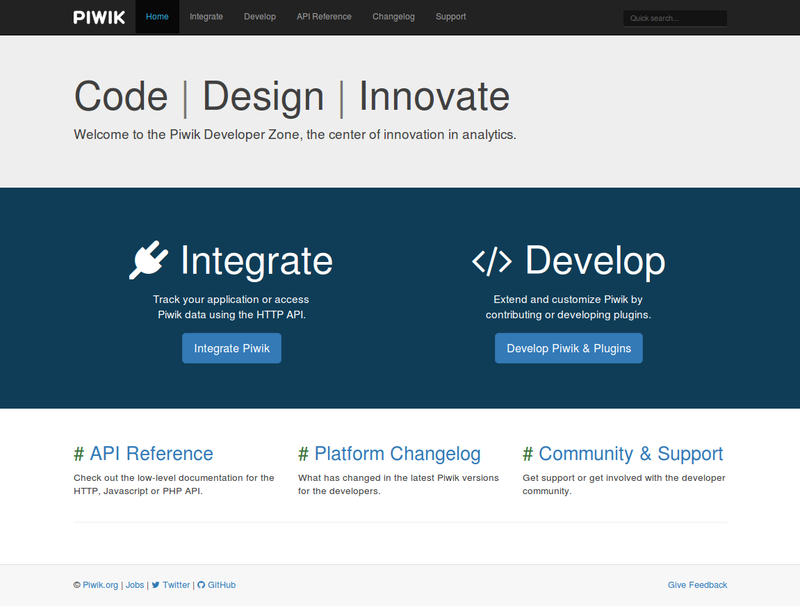 Develop a new Plugin for Matomo (Piwik) — Plugin development guides introduce the Matomo Platform and explain how to get started with creating a new plugin to extend and customise Matomo. See what’s changed in the platform — Changelog for Matomo (Piwik) platform developers lists all changes to our HTTP API’s, Plugins, Themes, etc. Now that developer guides are officially released, we are hopeful that even more talented developers will be able to create Plugins and distribute them on the Marketplace. We are committed to providing excellent Developer Guides and to achieve this, we need to hear your feedback and suggestions. To send us a message, click on the “Give Feedback” link in the footer of pages (we are listening!). Platform Developer Changelog will continue to list all changes to the Matomo (Piwik) Platform and APIs. We will regularly update the guides when there are changes in the platform. We hope you find the guides useful, and thank you for being part of the Matomo (Piwik) community!